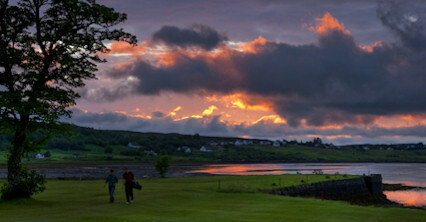 Situated on the site of the mortal feud between the MacDonalds and the MacLeods this is a great little nine-hole parkland layout that welcomes players of all levels. 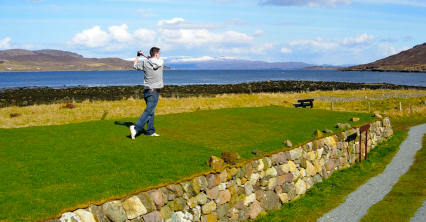 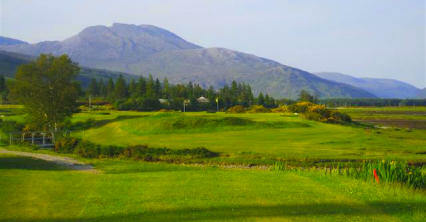 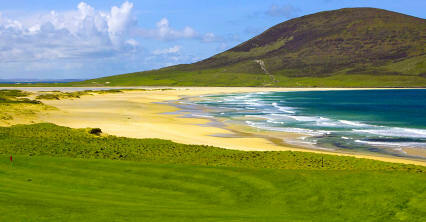 Set in the grounds of the Skeabost House Hotel it has a par of 62 with an impressive course record of 58. 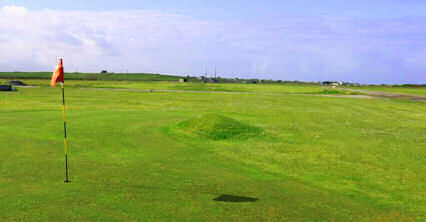 Its narrow meandering fairways and lively well-protected greens will grant you a very enjoyable and memorable experience. 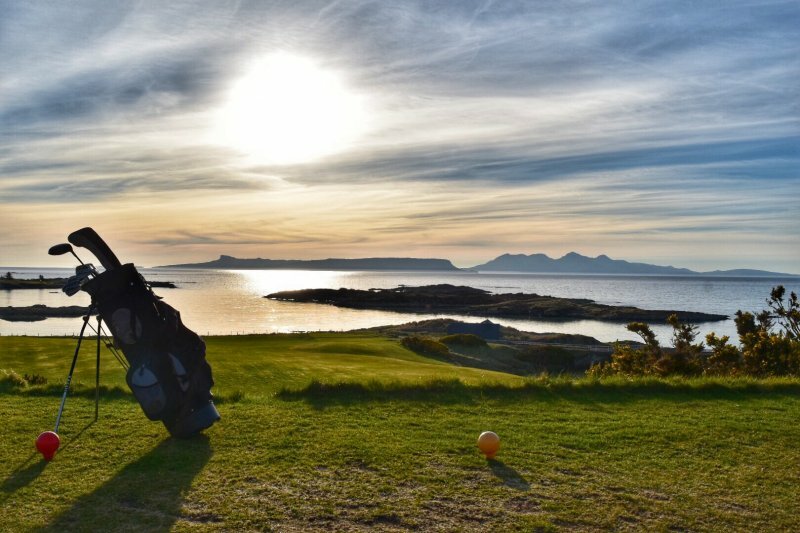 After your exertions you can relax in the quaint surroundings of the welcoming hotel, enjoy a few ales and take in the scenery before planning your next move. 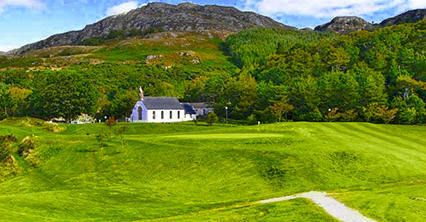 Off the A850 Portree to Dunvegan road.